When most people think of RVs, they picture motorhomes, but the term RV refers to any recreational vehicle. There are plenty of types of RVs in all shapes and sizes on the market. It can be hard to narrow down which one is right for you. One of the more popular ways to RV is in the good old-fashioned travel trailer. Travel trailers come in all shapes and sizes, price points, and either barebones or with all the luxuries you can fit inside. Let’s examine what the travel trailer is as well as some of its pros and cons as your RV of choice. There are almost a limitless number of travel trailer variations and types. A travel trailer is a non-motorized towable used for shelter. You have something as simple as a fiberglass egg travel trailer all the way up to million-dollar luxurious travel trailers. Many other types of RVs can fall into the general travel trailer scope such as pop-up campers and truck campers. There is a travel trailer for every RVer’s preference. If you’re only a weekend RVer, you may decide a simple travel trailer like a pop-up camper is right for you. If you’re out on the road often, you may choose to shell out for an outfitted 40-foot travel trailer that has plenty of amenities. Travel trailers can sleep anywhere from one person to your whole extended family depending on your needs. If you can’t find a travel trailer that suits you have no fear. Many companies specialize in creating custom travel trailers to fit your every wish and need. A significant benefit of travel trailers is that they are mobile, meaning you can drop them off anywhere. This offers an advantage over larger motorhomes and coaches. Some RVers dread running to the store with their sizeable 50-foot coach but no worries with a travel trailer. You can leave the trailer at your campsite and take your vehicle where you want to go without worrying about clearance or narrow roads. Travel trailers are often a cheaper choice for your RV and are considered entry-level for many looking to hit the road this way. Think of the travel trailer as the starter RV. This is due to travel trailers being non-motorized. Not only costs at the beginning less expensive due to lack of a motor but you won't need to worry about service in the beginning. Travel trailers contain less moving parts which mean you'll need service less often. One of the most considerable advantages of the travel trailers can also be one of its biggest drawbacks. The fact that the tow vehicle and the trailer are two separate components. A travel trailer will take some skill to maneuver and drive, like any other trailer or towable. The larger the trailer is, the more difficult it may be for you to drive. Travel trailers are subjects of more theft than a motorhome or coach. Trailers, depending on what they’re made of, are easy to break in with a pocket knife in some cases. This means you need to take your valuables with you or leave them at home. There have been instances where someone will hook an unprotected trailer to their vehicle and drive away. 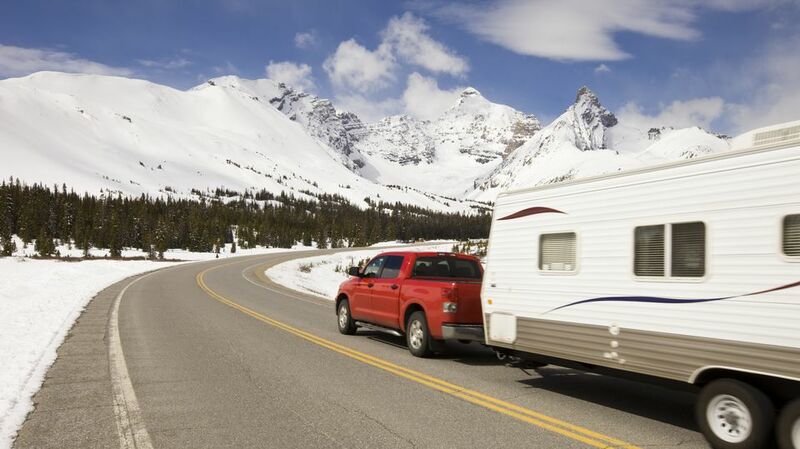 Motorhomes tend to be more accommodating with proper climate control. Your air conditioning unit will not be on while driving and you could find your trailer hot or cold once you arrive at your destination. This is more of a small inconvenience but a drawback nonetheless. These are some of the pros and cons of choosing a travel trailer as your everyday RV. Travel trailers are one of the most popular, versatile, and affordable RVs on the market, especially for families. Visit RVing forums or talk to a reputable local dealer to find out what kind of travel trailer, if any, is the right RVing choice for you.